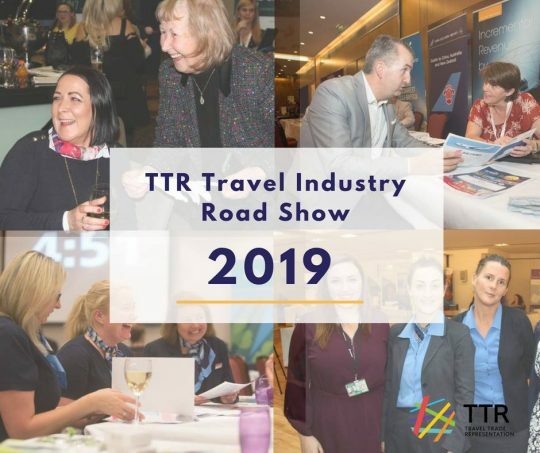 Due to popular demand, the TravelMedia.ie / TTR team have just announced the TTR Travel Industry Roadshow schedule for 2019. Launched in 2013, the TTR Travel Industry Roadshow is the longest running and most established roadshow in the Irish travel industry. Why attend as a supplier? See testimonials from suppliers in the trade as well as agent attendees in this video from our February 2018 event! The TTR Travel Industry Road Shows are a unique opportunity for suppliers to network with travel agents and tour operators, in a structured yet relaxed setting. With multiple travel agents and tour operators all present in one location on the same evening, these events offer a once off opportunity for suppliers to present their latest products and agent incentives. Please note these events have a limited number of places. Please RSVP to michael@travelmedia.ie to secure your place.